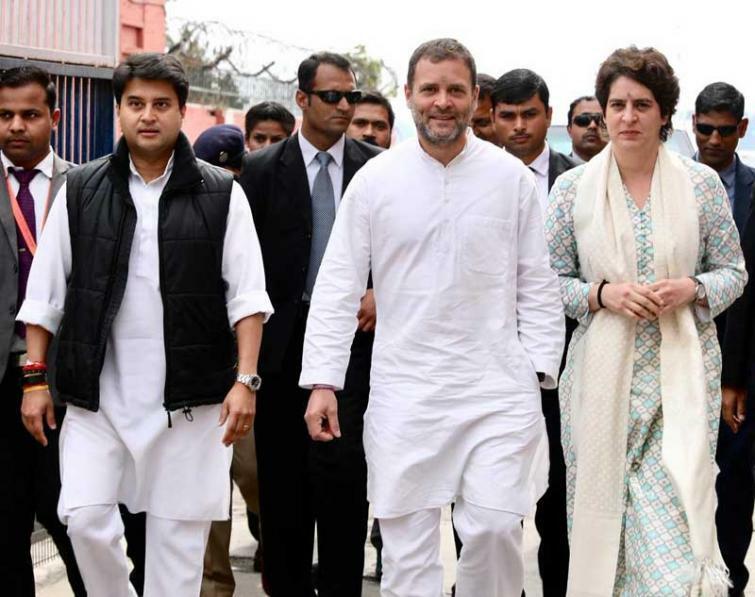 Lucknow, Feb 11 (IBNS): With an aim to gain lost ground in the northern state, Congress President Rahul Gandhi, party in-charge for eastern and western Uttar Pradesh, Priyanka Gandhi Vadra and Jyotiraditya Scindia are currently participating in a roadshow in Uttar Pradesh capital Lucknow on Monday. Addressing the crowd, Rahul Gandhi tried to attack Prime Minister Narendra Modi with his 'chowkidar chor hai' chants. Rahul Gandhi said he will not 'rest' until a Congress government is formed in Uttar Pradesh. The state is currently ruled by the Bharatiya Janata Party under the leadership of CM Yogi Adityanath. Priyanka Gandhi joined mainstream politics formally recently. On Sunday, she released an audio message where she said: "Hello, this is Priyanka Gandhi Vadra speaking." "Tomorrow, I am going to Lucknow to meet all of you. I have hope in my heart that together we can begin a new kind of politics. It will be a politics in which all of you will be stakeholders. From my young friends, my sisters and even the weakest person, all their voices will be heard in this kind of politics," she was quoted as saying in Hindi. 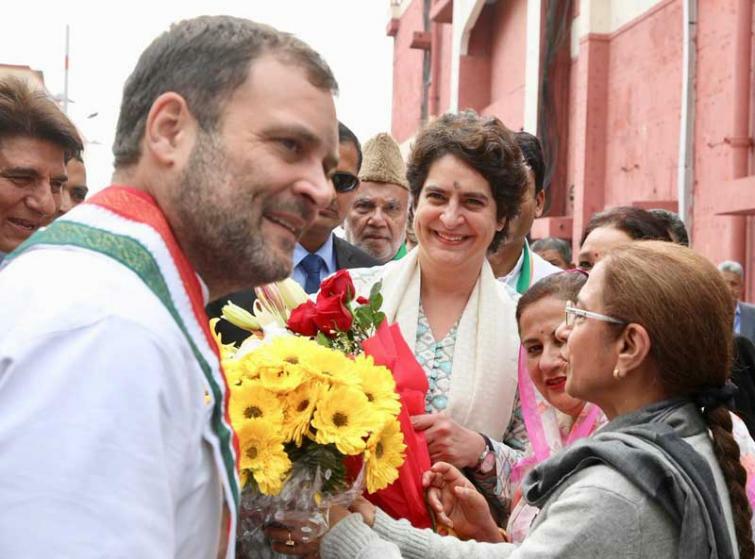 Congress' decision to appoint Priyanka as the in-charge came days after the SP and BSP stitched an alliance leaving the country's oldest political party alone to fight the BJP in the upcoming Lok Sabha polls. However, Rahul stated his party will "play on a front foot" in Uttar Pradesh. In 2014 General Elections, the Congress had managed to win only their bastions, Amethi and Rae Bareli seats. 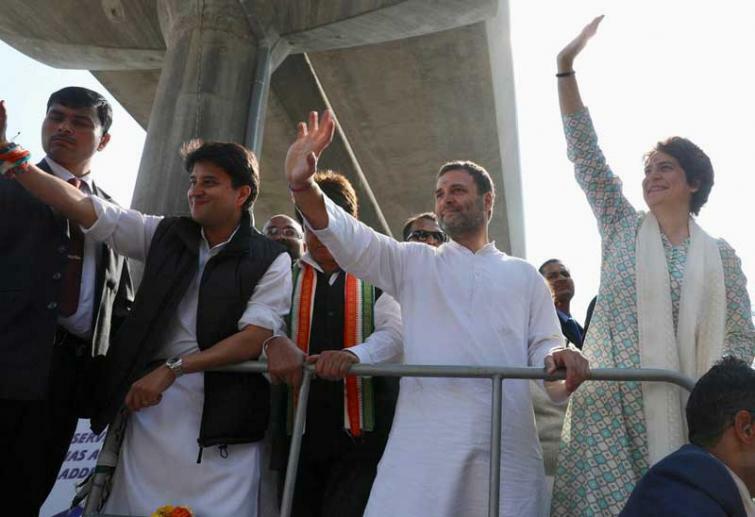 The SP-BSP alliaince has left Amethi and Rae Bareli, which are the parliamentary constituencies of Rahul and his mother Sonia Gandhi, for the Congress.